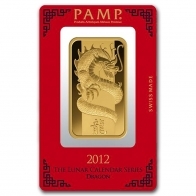 The PAMP Lunar series is available in 1 Ounce and 100 Gram sized bars from SwissBullion.ch. 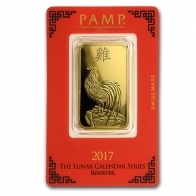 All gold lunar series bars are sold in a red certicard. 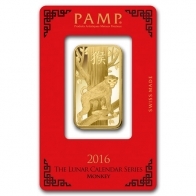 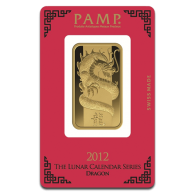 The Lunar series is issued by PAMP, and features a new image each year in line with the Chinese calendar. 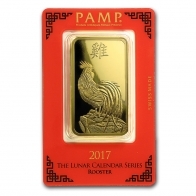 These include the Year of the Dragon, Year of the Snake, Year of the Horse, Year of the Rooster, Year of the Monkey, Year of the Goat, Year of the Dog and Year of the Pig. 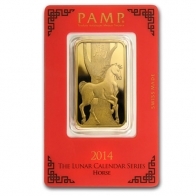 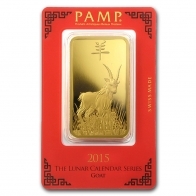 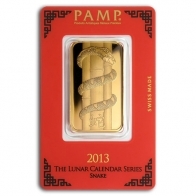 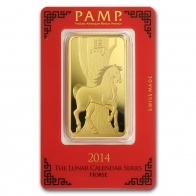 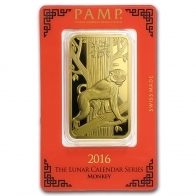 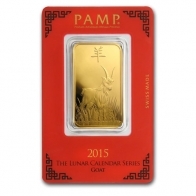 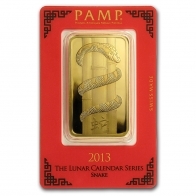 All PAMP Lunar series gold bars may be purchased for delivery or for Swiss vault storage.